Months before Hillary Clinton officially announced her bid for the presidency, the Rothschild family was hard at work helping craft her future economic policy. As Wikileaks reveals in the ongoing hugely-damaging release of John Podesta’s files, Lynn Forester de Rothschild, who maintains an incredibly cozy personal relationship with the Clintons, was already forming Hillary’s economic policy in January 2015 — long before the former secretary of state announced her candidacy. In the blog Rothschild refers to, Warren attacks Clinton’s close association with Big Banks and Wall Street, by highlighting how enormous free trade deals and banking deregulation line the wallets of the elite at the expense of the working class. Rothschild’s brief message tells of the upcoming predictably negative public perception Clinton would incur for her fealty to bankers — as clearly evidenced in the transcripts of highly-paid speeches for Goldman Sachs, Morgan Stanley, and others — also recently released by WikiLeaks. Of course, the irony of both Lady Rothschild’s concern and her heralding the “need to craft” Hillary’s “economic message” cannot be overstated. Heading an elite global banking empire, the notorious — or, more aptly, nefarious — Rothschild family collectively shapes the planet’s economic and, thus, political policies. Lynn Forester de Rothschild, who married billionaire financier Sir Evelyn de Rothschild in 2000, plays prominently throughout Clinton’s political career — including her tenure at the State Department. In fact, it could easily be argued Clinton’s Big Bank loyalty more accurately lies specifically with the Rothschild family. And the Rothschild influence obviously continues — on May 12 this year, Clinton showed her true colors by attending a $100,000-per-plate fundraising dinner hosted by none other than Lynn Forester de Rothschild. Despite their insidious and overwhelming influence in global geopolitics and finance, the Rothschild dynasty manages to shield themselves from public scrutiny — an estimated trillion-dollar fortune makes such evasion simple. 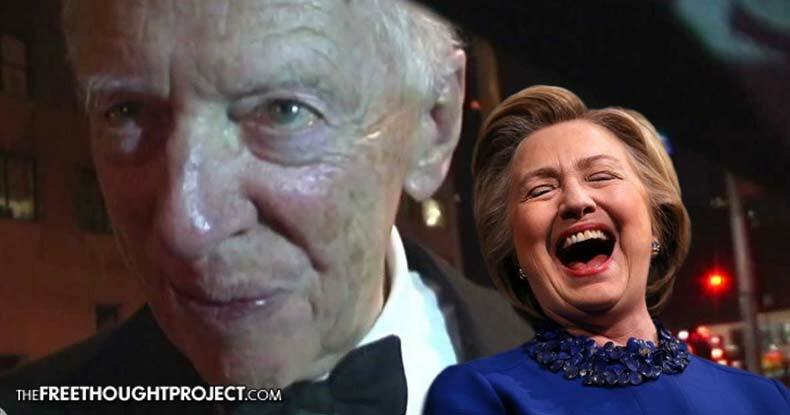 When snippets of their intimate relationships with the political and financial elite do surface, it only adds to the all-but-proven theory the Rothschilds essentially rule the globe through puppet politicians. Considering Lynn Forester de Rothschild’s apparent hand in potential President Hillary Clinton’s economic policy, such theories don’t appear so far from the truth — and only further prove the United States has strayed from its democratically-based roots to become a banking and corporate plutocracy.